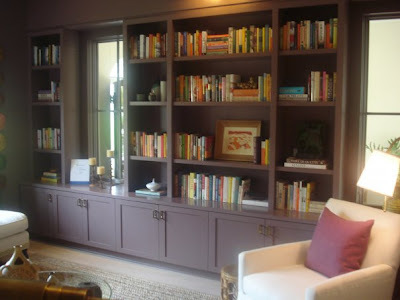 A few weeks ago when Charleston-based Angie Hranowsky shared with us her enthusiasm for one of her latest projects, Coastal Living's 2009 Idea Cottage in I'On, she was especially excited about the regional talent showcased in the house. Idea Cottage visitors will notice original art -- both large-scale pieces and small works -- skillfully displayed throughout the rooms. Some of the artists represented include Molly B. Right, Sally Benedict, Amanda Talley and Kate Long Stevenson. 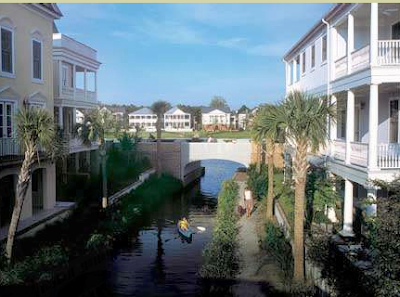 If you find yourself in South Carolina during September or October, be sure to stop by and see Angie's modern coastal triumph. 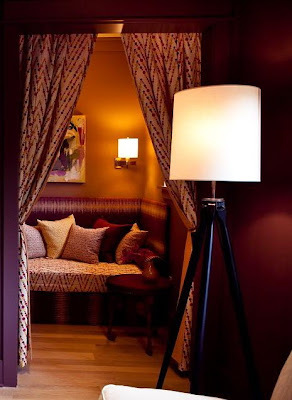 (Note the zig-zag fabric in the reading nook: historically chevron stripes have represented waves.) The house closes on October 11th, so click here for ticket information. Partial proceeds benefit East Cooper Habitat for Humanity and East Cooper Montessori Charter School. 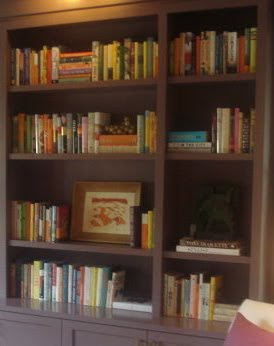 Images two and four, above, are via the Idea Cottage blog; bookshelves photos via HobNob Charleston. Shown at top is I'On village. 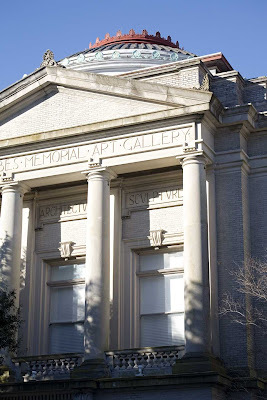 Speaking of Charleston and art, here is a great fall happening for local children: The Gibbes Museum of Art offers Painting the Masters classes for youth in grades First through Fourth. 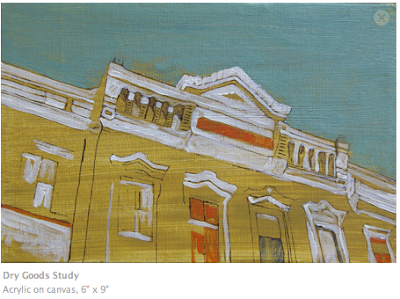 The art history-based painting series emphasizes the Gibbes’ collection and encompasses acrylic painting and sketching. Session I: Tuesdays, 4:15 - 5:15 p.m., September 15, 22, 29 and October 6, 13, 20. Session II: Tuesdays 4:15 - 5:15 p.m., October 27, November 3, 10, 17, and December 1, 8. Cost is $115 for all six classes, including all supplies. For details or to register, contact Rebecca Williams at (843) 722 - 2706 x 41 or rcwilliams@gibbesmuseum.org. 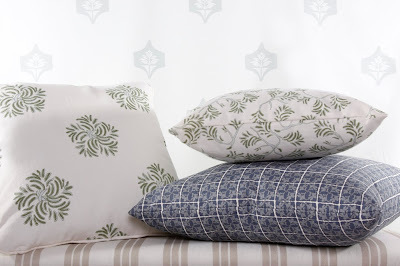 Later we can talk about the design influences, but for now I want to leave you with another peek at North Carolina-based Parlor Textiles' new collection. 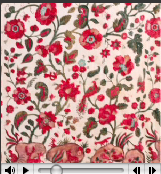 Hopefully you can see the lovely border on "Indian Deco Floral," below. 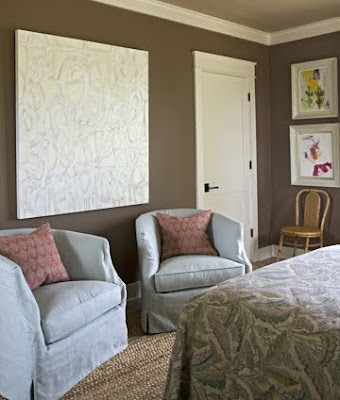 In person, the details, earthy shades and textures are especially appealing. The other day I attempted to help a friend compile music for a disc that might be given to guests at the end of a long weekend event in Georgia. For the CD cover art I had some thoughts on finding non-copyrighted work inspired by Southern trees (photocopying fabric was another option) but in terms of the actual playlist, I think my only good contribution was "Midnight Train to Georgia." Of course, Gladys and the Pips did the ne plus ultra recording, but so many artists have done great covers. If you're in the mood for something calming try Indigo Girls. Cissy Houston reportedly recorded the song before Gladys, and Joan Osborne released a version in 2007. For the record, Atlanta does have a noteworthy train station that has not fallen victim to demolition. 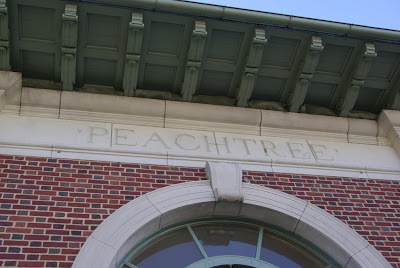 Neel Reid (1885-1926) designed the Italian Renaissance-inspired Peachtree Southern Railway in 1918. 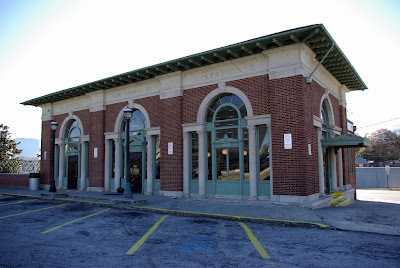 Today it is listed on the National Register of Historic Places and is known as the Brookwood Station located at 1688 Peachtree St. Click here to learn more about the architecture. Train station photos are via xpkranger on Flickr. The art shown at top, just for experimental purposes, is courtesy Annie Butrus and she holds the copyright. 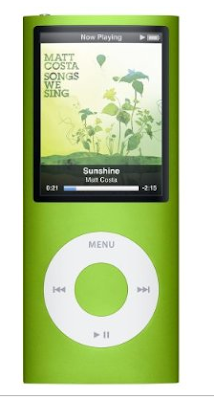 iPod image is via Target. Click here to listen to the songs in iTunes. Click the images to better see the details. 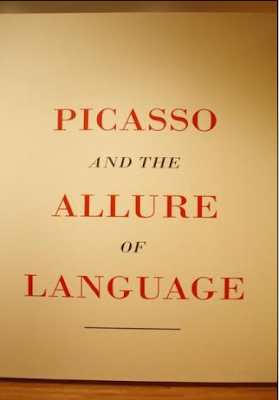 Remember when I mentioned Picasso and the Allure of Language? The exhibition explores the artist's relationship with writers as well as the impact of language on his work, and it just opened a few days ago at Duke University's Nasher Museum of Art. As noted in July, the Nasher has put together a great website to accompany the show, but here are a few more links that might entice you to venture to North Carolina this fall and see in person Picasso's works alongside related books, letters, photographs, and manuscripts. For those of you who are in the area, the museum will host a panel discussion, August 27 at 7 p.m., featuring curator Susan Greenberg Fisher of Yale University Art Gallery and Patricia Leighten, professor in Duke's Department of Art, Art History & Visual Studies. Reservations are encouraged. 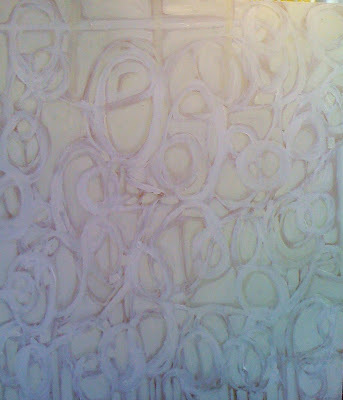 The exhibition continues through January 3, 2010. 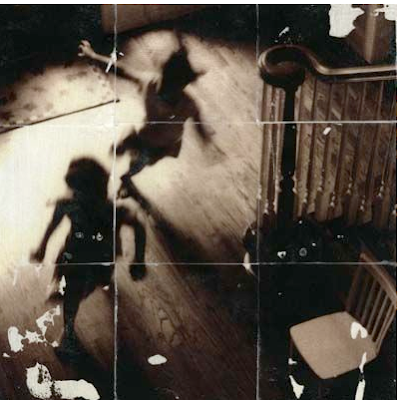 North Carolinian Little Augury has seen the exhibit and shares a review here. Past post of interest: Self Portrait. 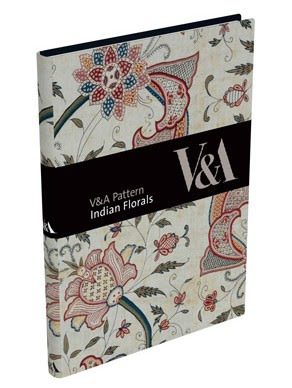 In July the V & A published a new series of budget-friendly pocket-sized resource books for designers, artists, and all who love pattern. Rosemary Crill's Indian Florals is part of the collection and is scheduled to be released in the U.S. the first week of September. Apart from the great price (about $12 at most retailers), the terrific thing about this volume is the accompanying CD of of the book's images. 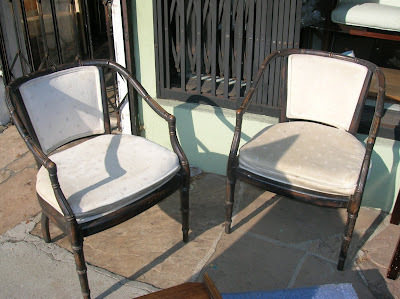 Designers can redraw or rework these. Crill, senior curator in the V & A's Asian Department, is an authority on Indian textiles and her book, Chintz: Indian Textiles for the West, is another beautifully illustrated resource. Click here for the Maiwa "Cotton Road" podcast with Rosemary Crill. 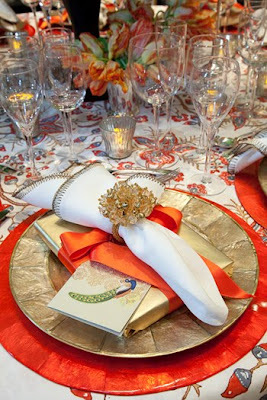 Last April for the The Lenox Hill Neighborhood House benefit, designer Thu Do layered a beautiful table using John Robshaw's Kahili red ginger tablecloth and Peacock note cards. 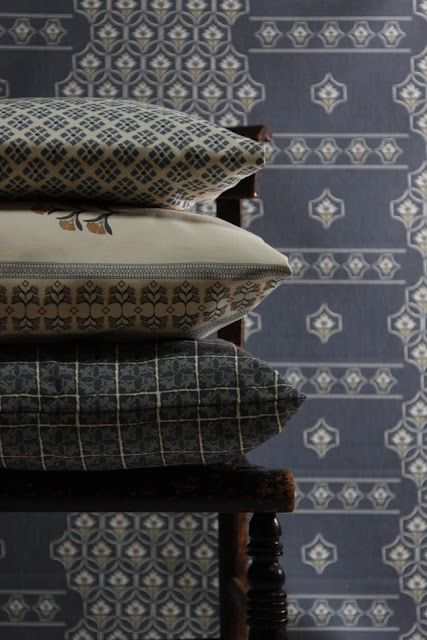 I love how the Kahili print is reminiscent of antique Indian patterns. 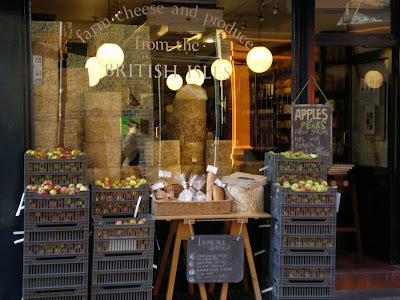 Images courtesy the Robshaw blog. 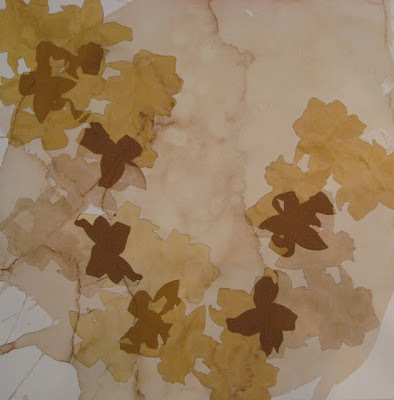 Natural beauties, shown at top and middle left: Sara Cole's mixed-media work deals with transformation and regeneration using nature as a reference point. Middle right: Billy Reid's handmade Savannah wingtips juxtaposed with tattered upholstery and an old rug followed by Anthropologie's library-inspired wood and brass tape dispenser. 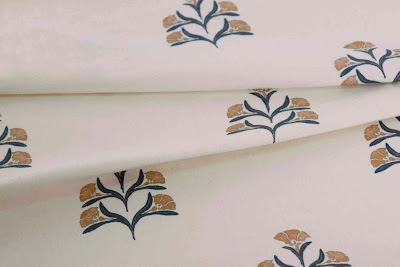 Last, vintage bookcloth. 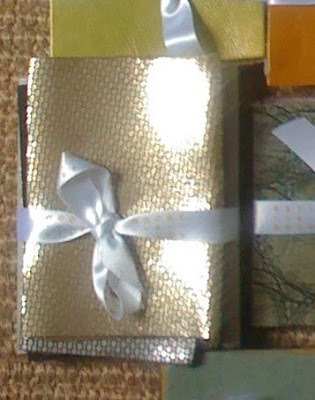 Books on the left are via Emily Lynch (sold). 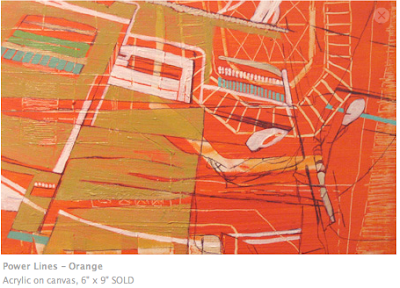 Sara Cole is represented in Atlanta by Emily Amy Gallery. Coming in September to Fernbank is the exhibition, GOLD, a show that will look at the natural properties of the geological specimen and, according to curators, will reveal that there's more to gold than prestige. Jewelry above via J. Crew. Leather sample via Moore & Giles. If you aren't yet acquainted with photographer Jennifer Shaw, surf over to her site when you have a chance. I think you will be charmed and intrigued by her work. 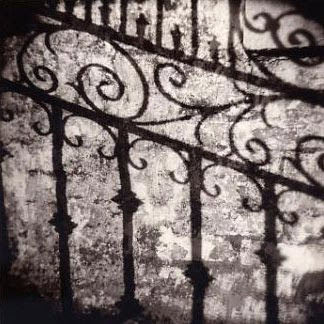 As mentioned in the earlier post about John Folsom, Charleston gallerist Rebekah Jacob represents an array of photographers whose work captures the American South and Shaw is one of them. 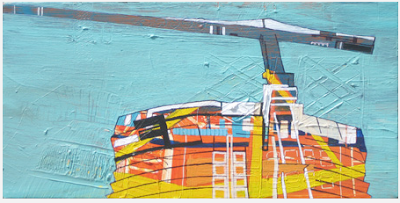 Shaw is also represented by Kevin Longino and by Meter Gallery. 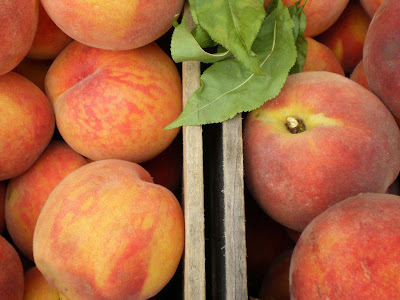 Color theory was integral to Wellesley alum Annie Butrus' Peach Tree Trail series, and she continues to study the subject. 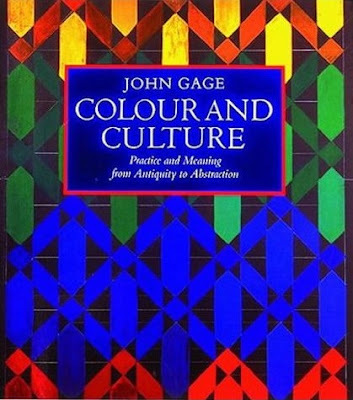 The other day she shared with me a book tip: Color and Culture: Practice and Meaning from Antiquity to Abstraction by John Gage. I'm curious about chapters including, The Peacock's Tail and Color-Language, Color-Symbols. Longtime friend of the blog Betsy Burnham is on the minds of design enthusiasts this morning because she made the front page of The New York Times home section. (See her in the red plaid, above? Looking good Betsy.) In a piece about attainable design in a struggling economy, Kimberly Stevens highlights Burnham Designs' more affordable alternative service, Instant Space. 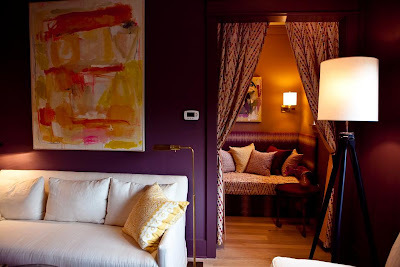 Over the years, Betsy has shared many tips with us and candidly discussed her openness to faux leather and other readily available design elements. For Betsy, it's always about the mix and the balance. She explained some of this philosophy in a guest blog post that I wrote for design * sponge a while back. 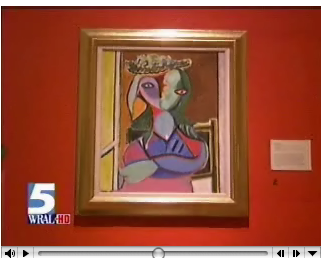 Cheers to Betsy and Atlanta favorite, Phoebe Howard, also featured in Stevens' story. 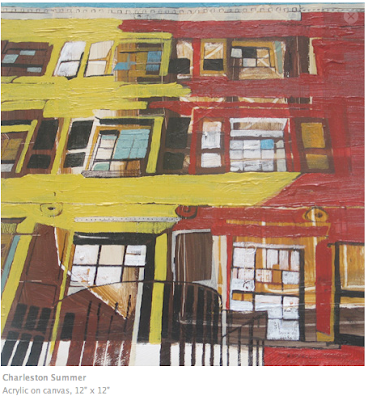 Lure of the Lowcountry, an exhibition of works from contemporary artist John Folsom, is scheduled to open at Charleston's Gibbes Museum of Art January 22 and continue through April 18, 2010. I know it seems like such a long way off, but I'm excited about the show. Hopefully it will be accompanied by a great exhibition catalog. 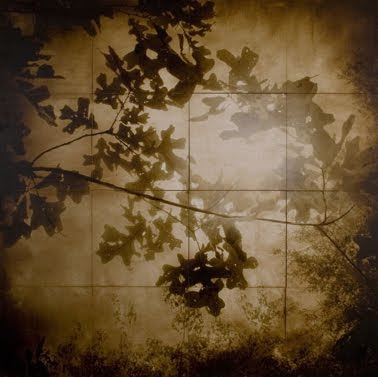 Inspired in part by 19th-century landscape painting as well as work by early-20th-century photographers who experimented with soft-focus, painterly images, Kentucky native Folsom manipulates his own photographs with mixed media including wax and oil paint. 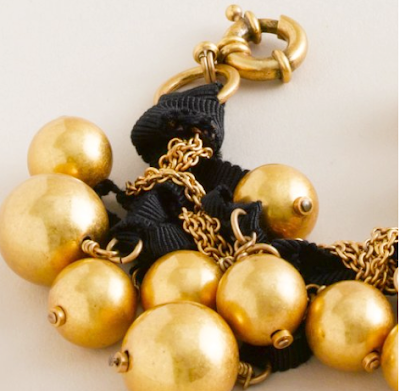 The Gibbes show will highlight alluring pieces that represent Palmetto Bluff and Edisto Island (South Carolina locations) along with Cumberland Island, Georgia. 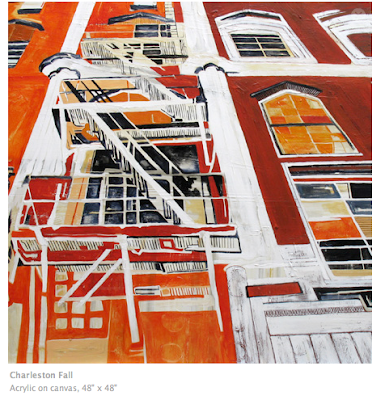 A complete list of the galleries currently representing Folsom is available here, but if you are particularly interested in photography of the American South, visit Charleston gallerist Rebekah Jacob. 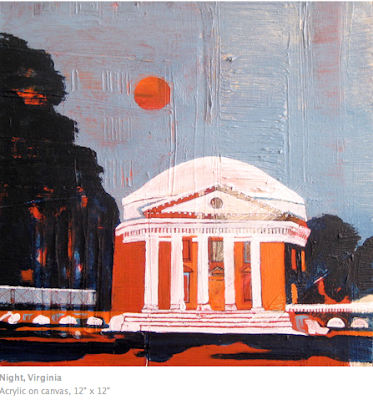 By the way, Southern Accents readers may remember this story about the artist from the September-October 2006 issue. And G & G included Folsom in its feature, Best of the New South: 50 people, places and things that make us proud. 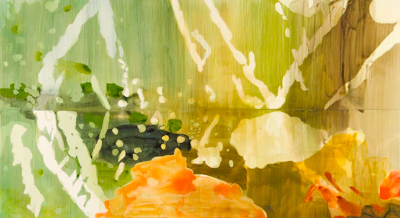 Above, autumn panels from Annie Butrus' installation, Peach Tree Trail, a five-year study of nature's seasonal impact on farmers' orchards in Chilton County, Alabama. 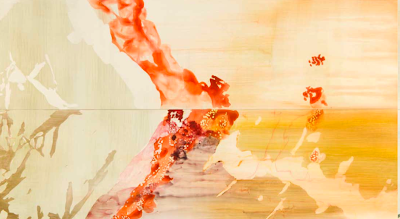 Although the exhibition at UAB has ended, and many of the panels have sold, interested collectors may inquire about remaining pieces at Amanda Schedler Fine Art. 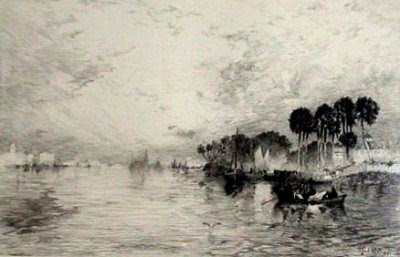 And a reminder: August 21 is the registration deadline for the Orlando Museum of Art's continuing education course tailored for interior designers, “Everything You Ever Wanted to Know About Art But Were Afraid to Ask: Conservation, History, Framing, Aesthetics and the Pitfalls of Criticism.” The seminar is open to all, but ASID professionals who participate can earn 10 CEUs and satisfy Health, Safety, and Welfare Requirements. Class dates are August 28, 8 a.m. to 4 p.m. and August 29, 9 a.m. to 12 noon. Cost is $350 including lunch on Friday. For details or to register, contact Associate Curator Jan Clanton by email, jclanton@omart.org, or by phone (407) 896-4231 x 261. Cheekwood botanical garden and museum in Nashville continues to offer extended hours through September 30. Visitors are invited to stay until 8 p.m. each Tuesday, Wednesday and Thursday night. 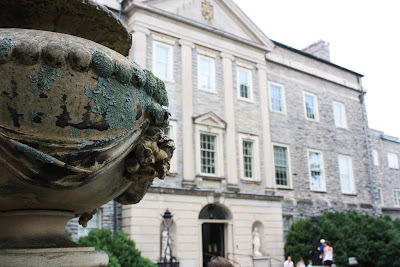 Cheekwood in August photographed by Intrullin. 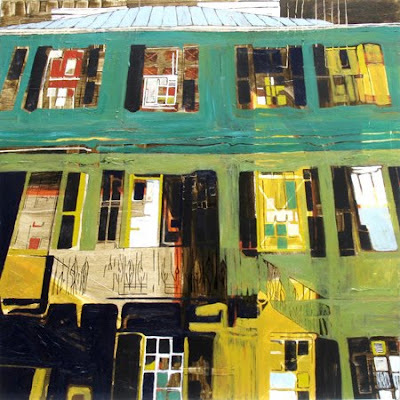 Suggesting a cubist influence, Charlotte-based Sharon Dowell often interprets her subject as a dynamic assemblage of overlapping lines and squares. 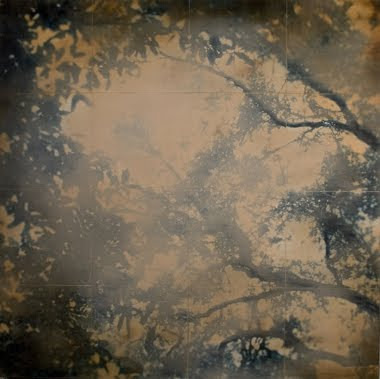 But her approach is painterly, too, with high energy color and texture figuring prominently in her work. 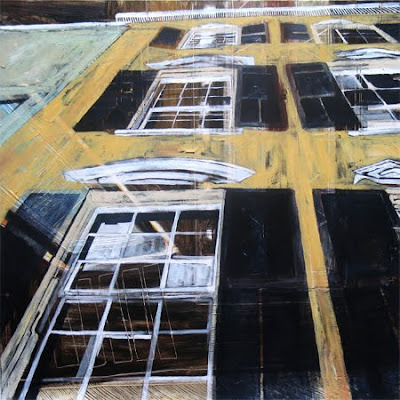 Whether it's a row of buildings in Charleston, urban sprawl, or power lines, she says in her artist statement, "I enjoy the subtlety of overlaying images and complex sensations." 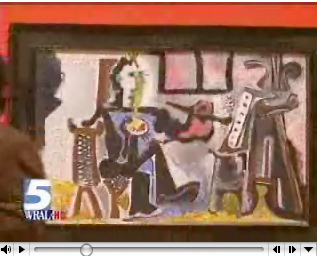 In the Southeast, Sharon is represented by Charlotte's Center of the Earth Gallery, Atlanta's Thomas Deans Gallery, and Raleigh's Flanders Gallery. 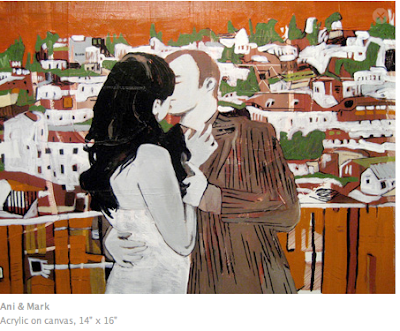 Additionally, she has exhibited at The Society of Illustrators Museum, The Tampa Museum of Art, and The A.I.R. Gallery in Chelsea, NYC. 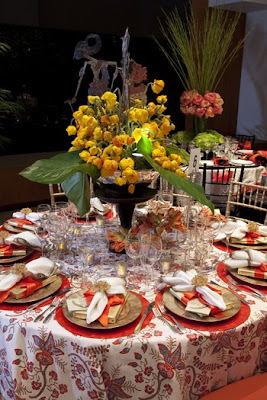 Any reference to cubism or Picasso typically makes my mind wonder to African design. Again rhythm and pattern created with interwoven lines. The website of London-based gallerist and author Duncan Clarke, Adire African Textiles, is one of the most comprehensive and educational that I'm aware of. 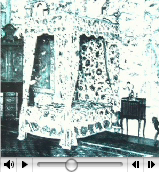 Clarke has written for Hali and he deals with museum quality textiles. Apart from the cloth, I found the vintage photographs of African fashion on his site especially interesting. 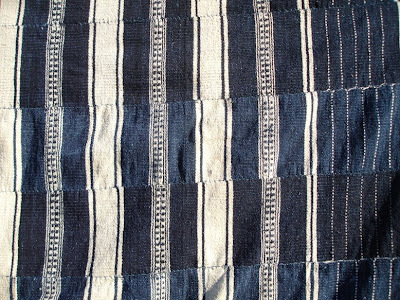 Shown below is a detailed view of a mid-twentieth century Malian cotton blanket. 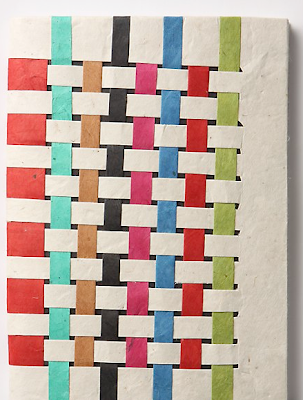 More intersecting strips: Anthropologie's woven spectrum journal. 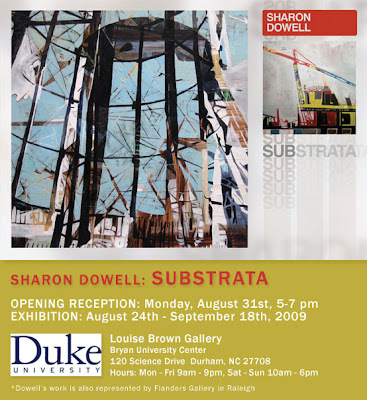 Sharon Dowell holds the copyright to all paintings shown above. Images posted with permission from the artist.